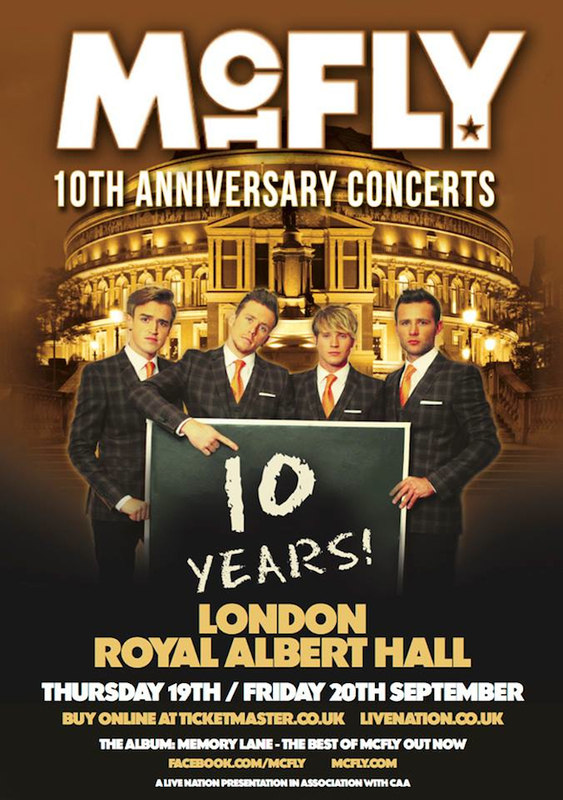 Despite, completing their twenty date ‘Memory Lane: The Best Of McFly Tour’ at Wembley Arena on Saturday night – excellent news everyone, the amazing and completely brilliant McFly have announced two live shows at the Royal Albert Hall in London to coincide with and to celebrate their tenth anniversary! It is a remarkable achievement that the lads have stuck together for such a great period of time and still continue to be hugely successful, still create incredible music and more importantly that they remain friends… it is a credit and a testament to them and they deserve to bask in, celebrate and indulge their conquests with these shows. Tom, Danny, Harry and Dougie will play the iconic venue on Thursday 19th September and Friday 20th September, with tickets for the special shows going on general sale from Saturday 25th May at 9am. Expect surprises aplenty!